Bankers have spent a good deal of time fretting about our British friends recently. First there was the Brexit vote to leave the European Union. This prompted considerable consternation about its impact on global markets, interest rates, and the impact on operations of US banks. While heads were turned watching this car wreck, however, an even bigger issue surfaced in the UK that could be even more impactful to US community banks. We are talking about the British arm of Amazon being allowed to start offering installment loans to buyers of big-ticket items like appliances. This move allows Amazon customers to buy products through its online marketplace and get immediate funding to do so. In banking parlance we call this a loan. Unfortunately for bankers worldwide, this is just the latest salvo in what is expected to be a direct attempt to invade the financial services industry by tech giants like Amazon, Google and others. Bankers should be alert to the potential of new competition from powerful online outfits like these. 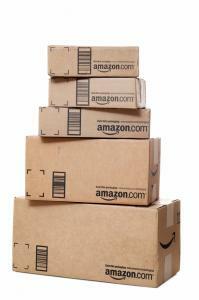 Ask any retailer about the strength of Amazon and they will shudder at the thought. So much so in fact, that in 2005 Amazon even surpassed Walmart as the largest retailer by market capitalization. Meanwhile, its impact is so huge that even venerable Macy's recently announced it would shutter 100 of its stores (partly as a result of intense competition from Amazon and other online retailers). While bankers have been vigorously trying to upgrade digital offerings to compete with new, upstart online competitors, they have tended to downplay the prospect of existing tech giants like Amazon expanding into financial services. This is simply because the rules, regulations and business dynamics are so much different from retailing that it seems difficult for such tech titans at the very least. After all, the Amazon's and Google's of the world don't want to start banks - they just want to offer payment services complementary to their retail operations. For their part, banks have been pitched the best thing to do here is to gain by partnering in the delivery and processing of such services. Apple Pay, for example, links to existing financial providers like banks. While it replaces physical cash and credit cards, it works through existing financial institutions. What about Amazon's British roll out? At face value, it appears to be just an installment loan plan similar to what retail stores already offer. Here, Amazon is even partnering with Hitachi Capital to run the program. So, on day 1, if there is any cannibalization of loan opportunity, it appears to be at the expense of retailers. However, a number of analysts have viewed the British program as a test. They posit that if successful, this could easily be duplicated in the US and serve as a springboard for additional financial services that erode bank profit centers. How long will it take until credit cards, checking accounts, consumer and small business loans can be handled this way one wonders. What bankers need to keep in mind as well is the size of Amazon's customer base and its appeal to younger consumers. It currently has more than 300mm active users around the globe, about 33% of them in the US (1 in 3 Americans). For banks seeking customers, you first have to locate that potential customer and then convince him or her to do business with you. Here at the click of a button on a purchase decision, Amazon's existing customer base can get funding. Perhaps for bankers, Brexit offers a convenient moment to consider all this. While you're thinking about where Britain goes next after the Brexit vote, there is time to also think about where Amazon goes next after its foray into installment loans abroad. We hope our discussion this morning wasn't too cheeky, as your team begins to consider the impact of yet another formidable potential player. Yields gyrated around ending down 1bp, after mixed economic data and ongoing investor concerns around the Fed. A survey by the American Staffing Association finds the top ways job seekers land a job are: word of mouth (43%), job board websites (30%), employer websites (30%), contacts or acquaintances with prospective employers (30%), and staffing and recruiting companies (25%). Research by the World Economic Forum on jobs finds a negative outlook of net employment on the following categories through 2020: office and administrative; manufacturing and production; construction and extraction; arts, design, entertainment, sports and media; legal and installation and maintenance. KPMG survey of large bank executives finds the following related to descriptions for the legacy IT system upgrade strategy: have begun replacing the entire core system and expect the job to be complete in the next 2-3Ys (39%), evaluating whether to replace the entire system (22%), now in the planning stages of replacing the entire system (21%), evaluating whether to upgrade elements of the system (14%) and not begun any planning or evaluation of core system replacement (4%). The Census Bureau reports household incomes jumped 5.2% last year to $56, 516, the first increase since 2007. CoreLogic reports foreclosure inventory fell 29.1% YOY in July (the lowest level since 2007), completed foreclosures declined 16.5%, and the number of mortgages in serious delinquency decreased by 17.3% over the same period.